Costa Rica is gradually becoming the preferred destination for Americans and Canadians, who want to get affordable dental treatments abroad. The low prices, expertise of Costa Rican dentists and their ability to offer quality dental work for much lower prices prompts thousands of dental tourists to visit every year. Trips to get dental implants and porcelain teeth veneers in Costa Rica are very common among dental tourists, since these are usually very costly in the US and Canada. In a report by respected research firm Euromonitor International, it was stated that around 90% of all cosmetic surgery and dental work in Costa Rica’s hospitals is being performed on foreign tourists. It is no surprise considering the huge savings and the high quality of medical and dental services that patients get in the country. Cosmetic dentistry is a huge factor that makes North Americans visit other locations in search of lower prices. While some tourists prefer traveling to Mexico for teeth implants, Costa Rica is also quickly growing a following from dental tourists. Cosmetic dentistry in Costa Rica is offered at affordable prices, and they have an impressive list of cosmetic dental surgeons. The cost of dental veneers in Costa Rica can be 50% lower than that in the US and Canada. Some patients may fear that lower cost means lower quality, but this could not be farther from the truth. The fact is that because Costa Rica has a lower cost of living, most things are cheaper in the country. This allows them to offer affordable prices for the same quality of dental services whose quality rivals that of First-World countries. 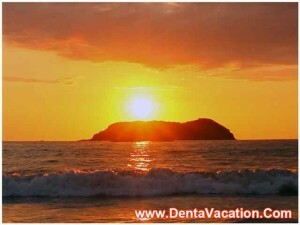 r a dental procedure decide on taking a dental trip to Costa Rica instead. White fillings – composite fillings look more natural on teeth and do not give you that fear of having someone see dark marks on your teeth that are common with metal fillings. Bonding – patients with cracks or chips on their teeth will improve their smile with this treatment, since it makes the teeth look smoother and shinier. Laser whitening – a perfect smile is not complete if you have discolored teeth. Find the best dentists that are experienced in performing procedures for dental makeovers in Costa Rica for dental tourists. You can do this by asking for their CVs, and also for testimonials from their previous patients. Look online for pictures and details about the hospitals or dental centers they work with. You want to be treated in those that have the most modern facilities and equipment. Coordinate with the dental tourism agency and the clinic for your itinerary. You may choose to include other tourist activities, and they can help you with this too. For most people in America, Costa Rica is relatively a short plane ride away, but the feel and the experience are worlds away from the bustling cities they come from. Costa Rica is known for its wealth of natural beauty, with amazing beaches and rainforests that tourists like to visit. If you are keen on improving your smile for less money, getting porcelain veneers in Costa Rica could be a wise choice. Submit the Free Request Quote Form on the Right for More Information on Porcelain Teeth Veneers in Costa Rica.